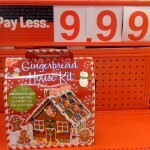 If you haven’t gotten your Gingerbread House supplies yet there is no need to fret as Target has the Gingerbread Train and the Gingerbread House kits still available for only $9.99! Kits contain everything you need; pre-made icing, e-z build trays, lots of candy, cookie characters of trees, snowman, and Gingerbread kid. So, if you are able to get to your local Target store and purchase one of these kits, it is the perfect activity for your family and yourself especially if the weather is bitter cold, snowy and icy. 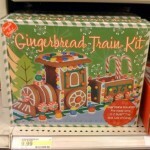 Have fun with one of the Gingerbread kits! Gingerbread House Kits Now Available at your local Target. 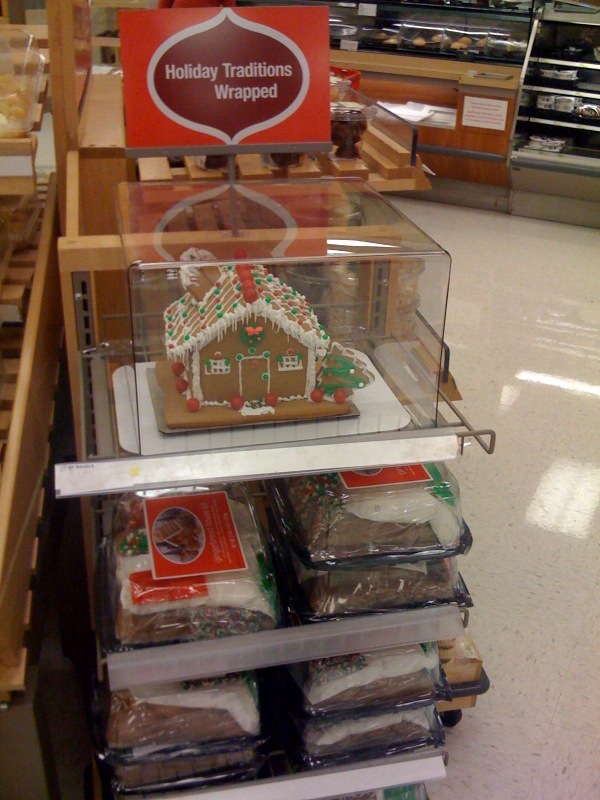 We had to make a quick stop at our local Super Target and saw this Gingerbread House kit in the bakery section and thought you should know about it.